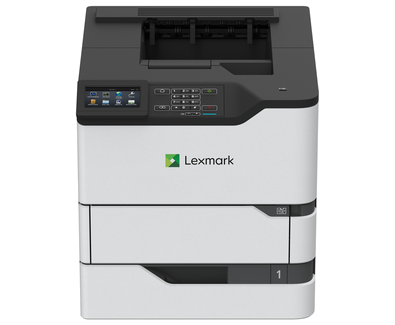 The Lexmark MS826de combines a first page in just 4 seconds and impressive output speed with a 4.3-inch touch screen offering productivity-enhancing apps. A first page as fast as 4 seconds sets the stage for printing and copying up to 70  ppm*. And support for large workloads is built in, with recommended monthly page volume as high as 350,000 pages.